Note that Plural Eyes may need a few minutes to process them. 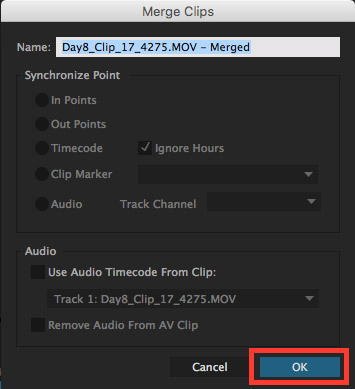 Technical Note: Secondary audio files must be the same sample rate as your camera files or you will run into technical issues in Premiere. 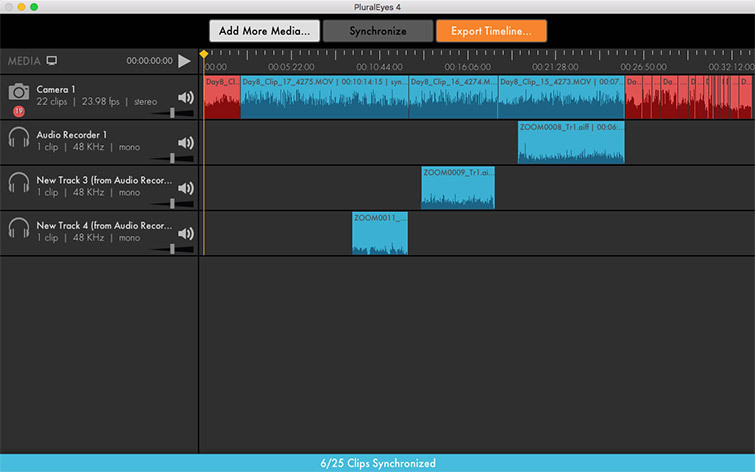 To check this, open any of the audio files in Quicktime on a Mac computer, and press Command + I. If the sample rate is not listed as 48,000hz or 48kHz you will need to convert the files before using Plural Eyes. Please refer to our workflow for Using XLD to Convert Audio to 48kHz if you are in this situation. Note that in this example I gave the XML file it is saving a very generic name as an example, however you will likely want to be more specific, naming it the name of your scene or something to describe the collection of media. Note that it will save the XML file into a generic location on the computer (Documents folder). 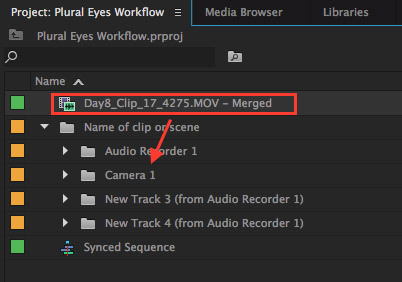 Make a mental note of this for when you’re importing it into Premiere. 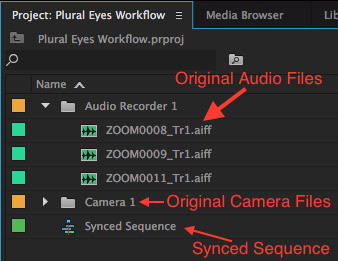 You will need to repeat this merged clip workflow for every clip that has secondary audio matching it coming out of your Plural Eyes project in the Synced Sequence. 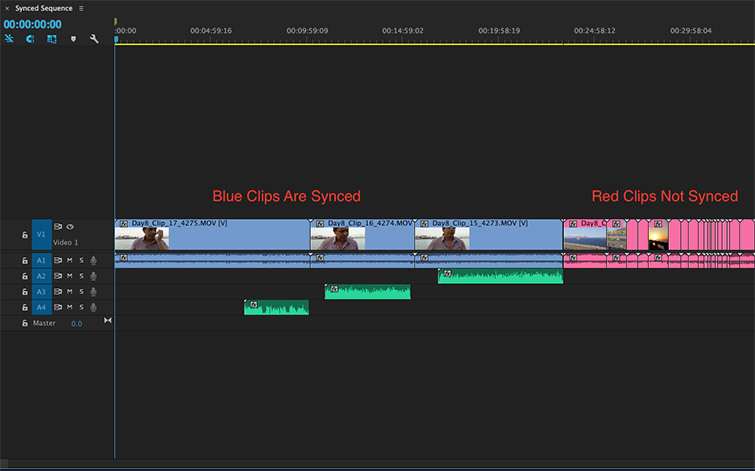 The next step would be to select the next clip down the sequence, and make a merged clip of that, and so on. 1. Import assets into Plural Eyes. 3. 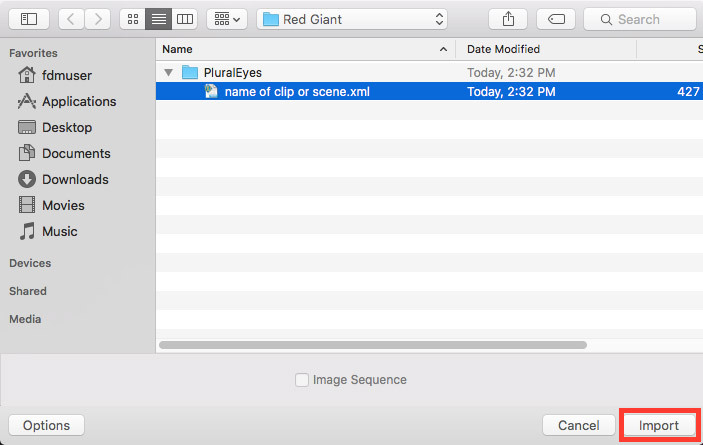 Export the XML File out of Plural Eyes. 4. 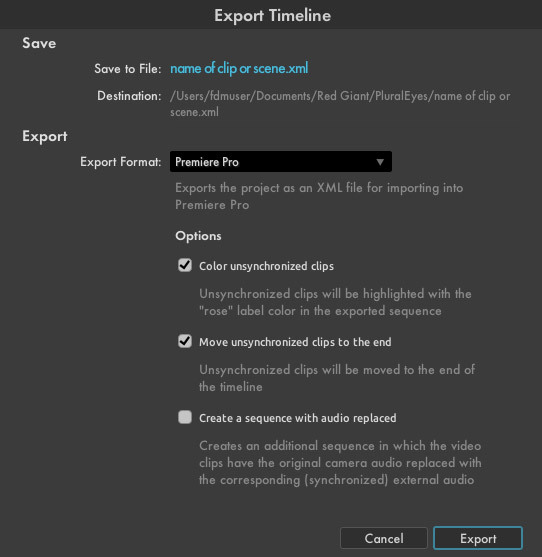 Import the XML File into Premiere. 5. 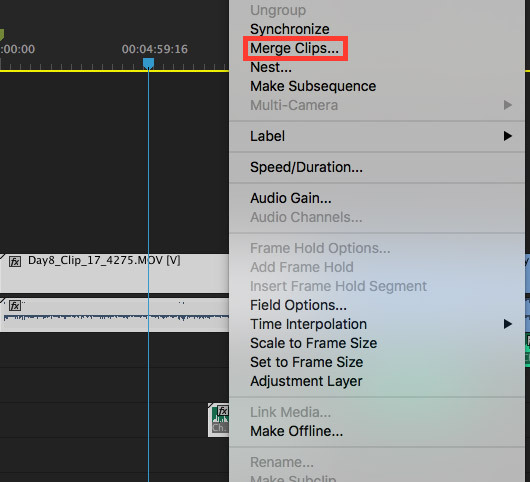 Use Synchronized sequence to generate merge clip files.